Hobo Mama: WondaWedge Inflatable Pillow for back support while breastfeeding in bed or reading on the beach! WondaWedge Inflatable Pillow for back support while breastfeeding in bed or reading on the beach! I'm hosting a giveaway of the WondaWedge inflatable back support pillow. I had the pleasure to try it out at the beach on our vacation as well as nursing and reading in bed at home. Originally, the deadline for the giveaway was today, but I've extended it past the long weekend since I'm only getting these pictures up today. As it turns out, vacations make it really hard to get things done! It didn't help that Mikko got sick the minute we got home, but fortunately he's feeling more chipper again. It also didn't help that I wanted to try the WondaWedge at the beach on our Cape Cod trip, but it poured until the day before our cottage rental ended. We seriously seemed to have chosen monsoon season as our vacation, so we had six people confined in one teensy cottage. Let's just say we played a lot of card games. Where was I? Oh, yes. WondaWedge in action, indoors and out. To see the pictures and read the review, please visit Hobo Mama Reviews. 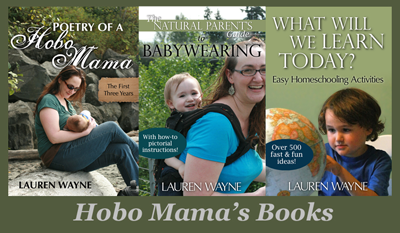 Then enter to win your own WondaWedge by September 7 over at Hobo Mama Reviews! oh my, that is Mikko in that beach pic?! He looks much older there!